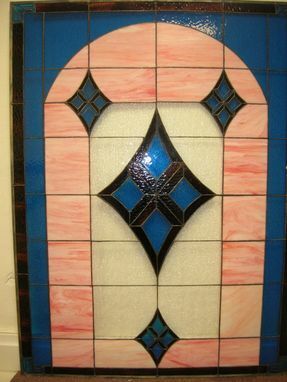 Stained glass window - traditional design. Larger than 36" x 36". Textured dark brown, vibrant aquamarine, wispy salmon, and corsica clear glass make up this beautiful "archway". 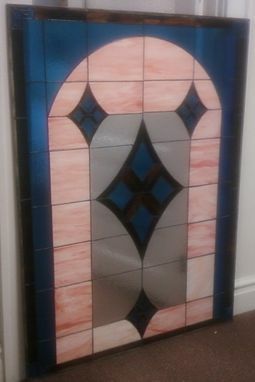 Dimensions: The piece shown is 45" x 60", but size,color, and design are up to you!